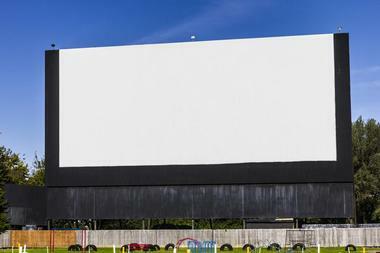 Ohio boasts one of the largest number of drive-in movie theaters in the country. The state saw the opening of one of the first drive-ins with the Starlight Auto Theater opening in Akron in the year 1937. These unique movie theaters grew to be extremely popular with Ohio residents, resulting in the state boasting 189 drive-in theaters by the end of the 1960s. 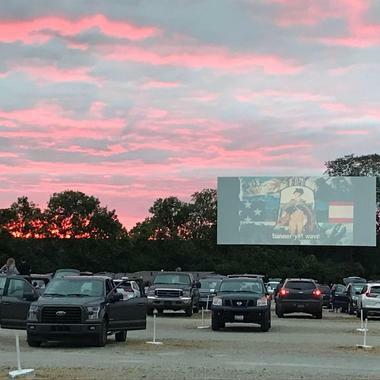 While the majority of the drive-ins are now gone, there are still plenty for both locals and visitors to catch a movie beneath the stars in the comfort of their own car. The Starlite Drive-in Theater in the town of Amelia in Ohio has been in operation for more than 52 years, offering residents of the surrounding area the opportunity to watch movies under the stars for quite some time. The historical drive-in usually shows double features of first-run movies within an old-school setting, complete with a snack bar serving a variety of refreshments, including classic movie theater popcorn. Guests wanting to bring their own food can buy a food permit for a small fee. The Starlite Drive-in is open six nights a week and is closed on Mondays. The Magic City Drive-in theater is a twin-screen theater located in Barberton, Ohio. 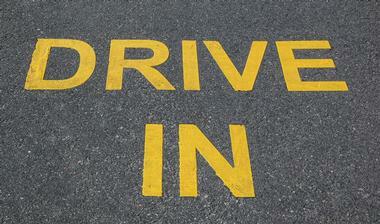 The drive-in is open on a season basis, from the month of April until the month of October. Magic City can accommodate a maximum of 700 cars for a showing. First-run films can be seen every night of the week throughout the summer months, and on the weekend throughout the spring and fall seasons. Audio can be accessed during films from FM radio broadcast or traditional speakers. The theater was first opened back in 1953 by Lou Ratener and Vince Lauter. 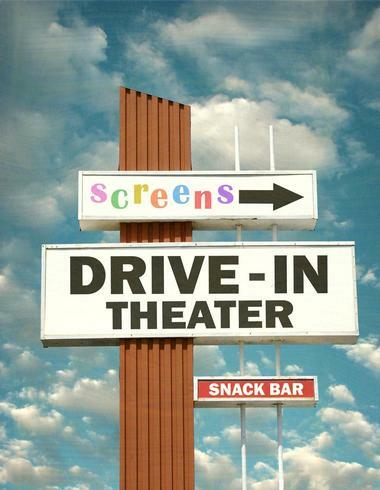 As a drive-in with a single screen. The Melody 49 Twin Drive-in is a drive-in theater with an old-school atmosphere that shows double features of movies currently released. Guests can also buy drive-in fare at the concession stand to enjoy during the films. The drive-in theater was first opened by Chakeres Theatres in 1966 on July 1st and is the only remaining drive-in operated by the company. The Melody drive-in opened originally with only one screen, but in 1987 the theater acquired its second screen after the Southland Twin Drive-in was sold and then closed. Guests both young and old will enjoy the family-friendly Melody 49 Drive-in in Brookville, Ohio. The Mayfield Road Drive-in theater is located in Chardon, just to the east of the city of Cleveland in Ohio. The single-screen drive-in theater is open during the spring, summer, and fall seasons, from the month of April through the month of October. The movie theater offers showings of films every night of the week during the summer season and is open on the weekends during the spring and fall months. 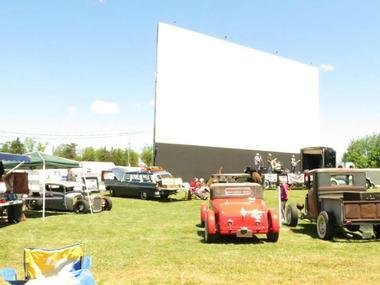 The drive-in can hold up to 500 vehicles for a showing, and audio is accessible by means of FM radio. The Mayfield Road Drive-in shows double features of first-run films. 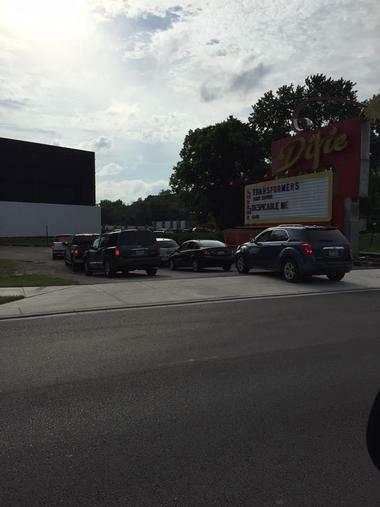 The South Drive-in in the city of Columbus is one of the oldest drive-in theaters in the area. The drive-in movie theater offers showings of films, serves snacks, and is also more unique than other drive-ins in the fact that it also hosts a flea market that features hundreds of different vendors. Situated on the city’s south side, the South Drive-in has hosted the largest outdoor garage and yard sale in the city since the 1970s. Guests can find all sorts of items at the massive flea market, such as photography, art, electronics, tools, clothing, housewares, and shoes. The Holiday Auto Theatre in Hamilton, Ohio, is a drive-in theater that dates back to the 1950s. The drive-in offers showings of mainstream films on its single screen as well a concession stand that serves a variety of snacks. 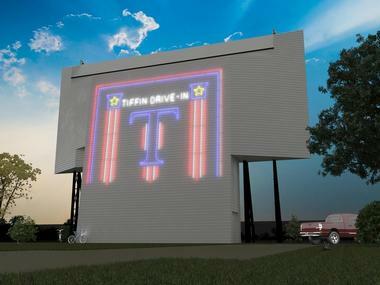 Guests can delight in experiencing a classic twist on viewing the most recent films released at the drive-in. The movie theatre has become a staple in Butler County, attracting audiences for more than 60 years who want to watch films from their own cars. Families can still come today to the Holiday Auto Theatre to see blockbusters throughout the entire summer. The Hi-Road Drive-in is a seasonal movie theater, featuring two screens that show first-run films. The drive-in theater also includes a concession stand where guests can get movie snacks such as movie theater popcorn and soda. 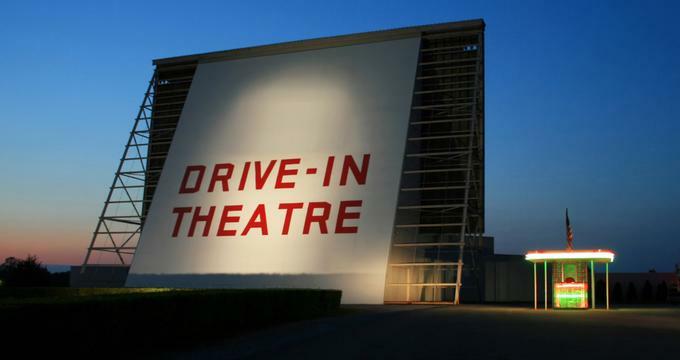 The drive-in opened for the first time on June 11th, 1949 with a movie screen measuring 40 feet by 80 feet. This screen was destroyed by strong winds in 1952 and was replaced with a screen of about half the size of the original one. Hi-Road can accommodate over 400 cars. The drive-in was acquired by the Miller family in 1999. Built originally in the year 1949, the Skyview Cruise-in Theatre was started by Carlos Crum. It was later purchased by an employee of the theater for 30 years by the name of Walt in 1994. Walt still continues to keep standards high, as they have been since the beginning, while his wife offers amazing customer service and quality food at the drive-in theater’s concessions stand. Guests can take advantage of the nostalgic car speakers or use their car’s FM radio for audio during the film. Skyview strives to offer fun for the entire family at an affordable price. 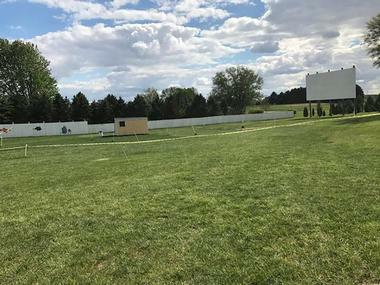 The Liberty Center Field of Dreams Drive-in offers affordable, fun, and memorable outdoor movie experiences for the whole family. 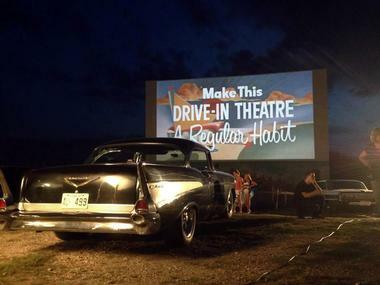 The drive-in theater experience is an American pastime that doesn’t exist in every town. 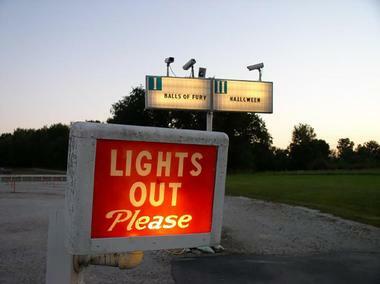 Guests come to the Field of Dreams Drive-in for its affordable prices, first-run double features, delicious food, great customer service, and fun environment. The outdoor movie theater includes two screens and digital projection. Audio for the screenings can be accessed through the car stereo system, and many guests choose to sit outside of their cars to watch the films. The drive-in is owned and operated as a family business. The Springmill Drive-in is a twin-screen drive-in movie theater in Mansfield, Ohio. The theater screens double features of first-run movies and offer triple features from time to time at no additional charge. 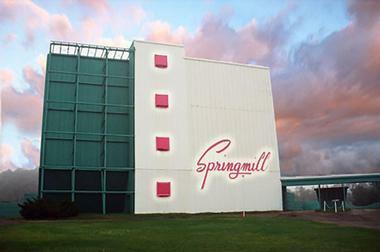 Springmill is a 1950s-style drive-in theater and is a favorite entertainment option among local residents and their pets. Guests of all ages can come and enjoy a movie under the stars and create lasting memories. The concessions stand, which opens around an hour prior to the movie, offers pizzas, hamburgers, popcorn, and much more. Those wanting to bring in food from elsewhere can purchase a food permit. The Starlight Drive-in first opened to the community in the year 1949 in the town of Mariah Stein, Ohio, at the corner of Route 119 and Route 127. The drive-in theater is a single-screen movie theater with digital projection and audio accessed via radio. Starlight Drive-in is open during the warmer months of the year, from the month of May through the month of September. The theater has been owned and operated by the Myers family for more than 32 years. The concession stand offers Pepsi products, candy, fresh popcorn, sandwiches, and other treats. 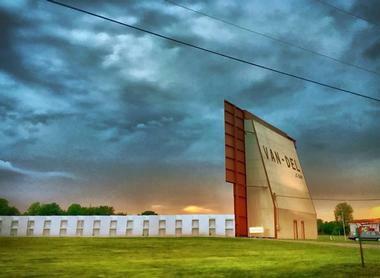 The Van-Del Drive-in is situated in the town of Middle Point in the state of Ohio. The outdoor movie theater is located near the towns of Van Wert and Delphos. The concessions stand at the drive-in theater offers a variety of snacks for guests to enjoy during the show, and the theater offers a family-friendly and fun environment for both the young and the young-at-heart to enjoy. Van-Del is a seasonal theater, consisting of multiple outdoor movie screens, and is closed during the winter season and colder months. Please note that the Van-Del drive-in is a cash-only theater. The Aut-O-Rama Drive-in Theatre has been owned by the very same family that built the original drive-in movie theater back in 1965, and has since become a bit of a westside legend in town. The Aut-O-Rama Drive-in is a seasonal theater, open from the beginning of April through to around the end of September, while from Memorial Day until Labor Day, the drive-in is open every day of the week. Admission to the drive-in includes a double feature, popcorn, fountain drink, and a pizza slice. No food from outside is allowed. Audio is offered through FM radio. The Star View Drive-in is an old-school outdoor movie theater that has been in operation for more than 65 years. The drive-in theater uses digital projects and offers a snack bar with a variety of treats during the screening of films. Star View first opened to the public back in the year 1949 and can accommodate up to 520 cars for showings every night from June until September. The concessions stand at the drive-in opens at the same time as the box office and offers everything through intermission, after which beverages, ice cream, and candy are available. 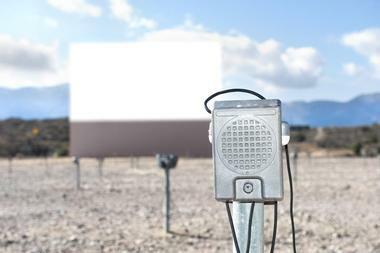 The Sundance Kid Drive-in, which opened in 1956, offers guests an opportunity to watch a movie beneath the starry sky. The nostalgic drive-in theater boasts a 1950s style and is situated across from Pearson Metro Park in Oregon, Ohio. The theater features audio via FM radio and digital projection for its two outdoor movie screens, which show double features from the spring until the fall. During the summer months, the Sundance Kid is open every day of the week. The drive-in prides itself on being one of the last establishments in existence to represent the car-centric culture of the 1950s. 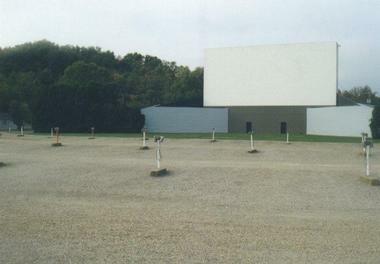 The Midway Drive-in theater in Ravenna, Ohio, opened originally in the year 1949. 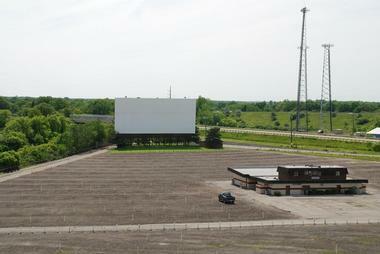 The twin-screen outdoor movie theater can hold up to 600 vehicles for movie showings. The seasonal drive-in is open from the month of April through the month of October, offering outdoor fun for friends and family during the warmer weather. The Midway Drive-in is one of the two drive-in theaters operated by John Knepp. It was designed by architect Jack Vogel and is one of the few remaining drive-ins that feature a Vogel screentower. The Vogel family owned the theater until it was bought by Knepp. The Sidney Auto Vue Drive-in is an outdoor movie theater that screens double features of first-run movies. 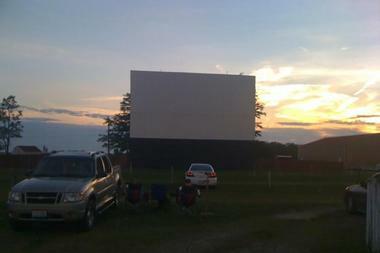 The drive-in theater has offered movie showings within a classic setting ever since 1956. 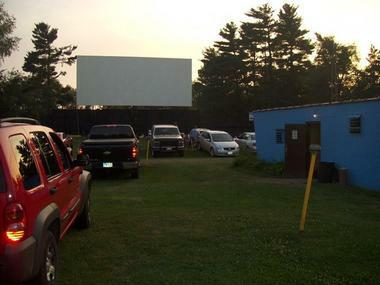 The Auto Vue is a family-owned and operated drive-in the town of Sidney, providing movie screenings during the warmer months of the year, from May through September. The concession stand at the drive-in accepts debit cards, credit cards, and cash. Customers attending a showing receive a menu and a trash bag. The drive-in theater was built by Russ Negelspach in 1956. The Rees family bought the drive-in in 1987. The Lynn Auto Theatre has been around in the Strasburg community since the year 1937. The drive-in theater has an old-school vibe and is the oldest of Ohio’s drive-in movie theaters as well as the second oldest in the world that has been in continuous operation. The Lynn Auto drive-in also features a concession stand where guests can find a variety of snacks to enjoy during the movie. The outdoor theater is situated just northwest of the town, at the intersection of State Route 250 and State Route 21. 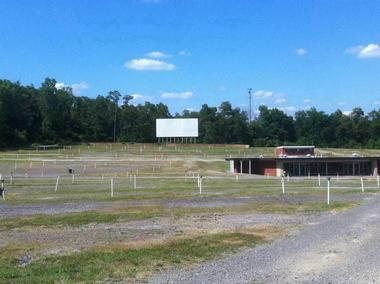 It is one of the world’s last “grass” drive-ins. 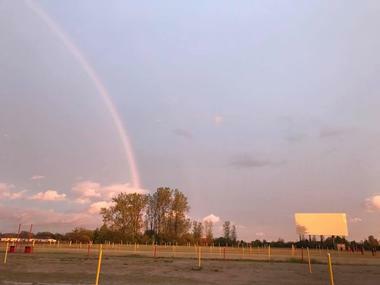 The Tiffin Field of Dreams Drive-in is one of your classic outdoor drive-in movie theaters, but with a twist that many other drive-ins in the state of Ohio don’t have. The Tiffin Field of Dreams allows customers to purchase a reserved parking spot in advance, which means guests don’t have to come early to find a good spot. Customers can also pre-purchase their tickets online for movie showings before they arrive as well. The drive-in theater also offers casual American food and snacks during showings at the theater. The outdoor movie theater is owned and operated as a family business. 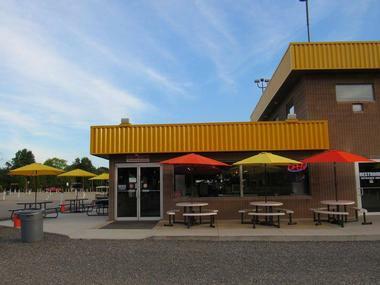 The Dixie Twin Drive-in is another classic American drive-in, a nostalgic reminder of a beloved American pastime offering affordable fun for the entire family. Situated in the city of Dayton, “The Dixie” consists of two massive outdoor screens that use state-of-the-art digital projection. The drive-in theater features first-run films, showing double features on each screen almost every night during the summer months and on Fridays and Saturdays during the rest of its season, which begins in April and runs through October. The summer season runs from Memorial Day weekend to the middle of August. Located in Wadsworth, Ohio, the Blue Sky Drive-in was originally constructed and opened to the public back in the year 1947 by Dale Morrison. Morrison operated the drive-in theater for around 5 years, and then sold the theater to Selected Theaters. The company operated the Blue Sky until it was bought by Gary Greive in the year 1980. The original movie screen was made out of wood and featured large speakers on its sides that could be heard as far as Doylestown. The Blue Sky only has one screen and is open seasonally from May through September. The Elm Road Triple Drive-in movie theater has continuously been in operation for more than 65 years. 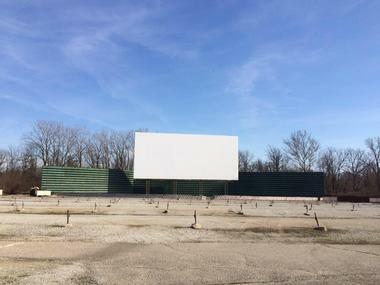 The family-owned and operated drive-in has long endured and continues to offer blockbuster hits and family fun to the community of Warren, Ohio, and the surrounding tri-county area. The movie theater shows double features for one affordable price and includes a concession facility that serves a wide variety of snacks, desserts, and dinner options. The Elm Road Triple Drive-in is open throughout the summer season every day of the week and is open during the spring and the fall on the weekends. 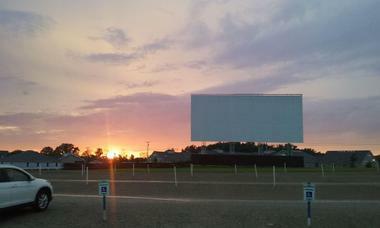 The Skyway Twin Drive-in is a family-owned drive-in movie theater with a vintage atmosphere. The outdoor movie theater features two huge outdoor movie screens that show contemporary movies. 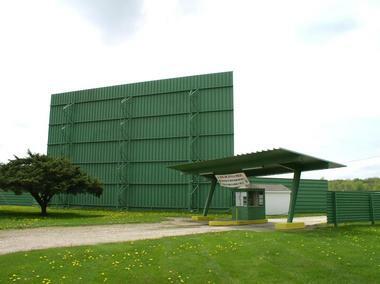 The drive-in theater is actually the oldest drive-in within the area of Warren, Ohio, and boasts the largest outdoor screen within a 50-mile radius. There are restrictions on food and drinks brought in from elsewhere. If customers wish to bring their own beverages and food, they will need to buy a food permit from the drive-in’s box office. The family-operated Skyway is closed on Mondays and Tuesdays. The drive-in theater is open on a seasonal basis and features four huge outdoor movie screens as well as a snack bar that serves pizza, burgers, popcorn, and several other treats. Only cash is accepted for movie tickets at the box office, however, credit cards are accepted for concessions at the snack bar. Wednesday nights at the Winter Drive-in are the theater’s “bargain nights,” offering discounts on tickets for adults. The large drive-in originally opened to the public on August 29th, 1969, can accommodate up to 1,000 vehicles, and now features digital projection for each of its screens.